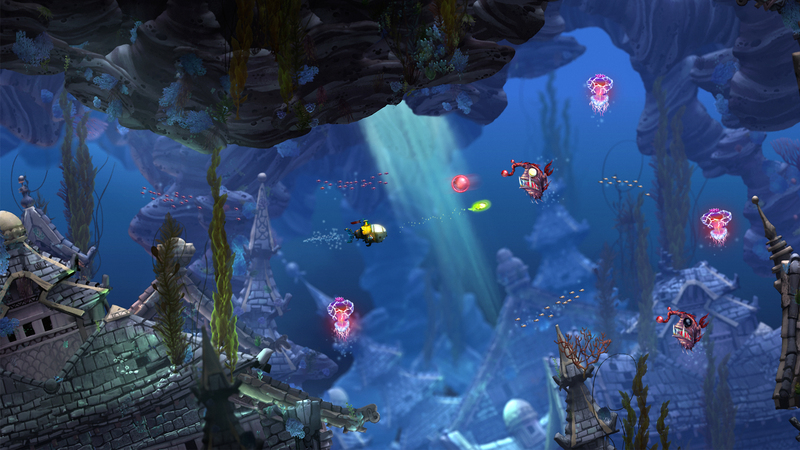 Biggest games retailer dipping toe into console game publishing. 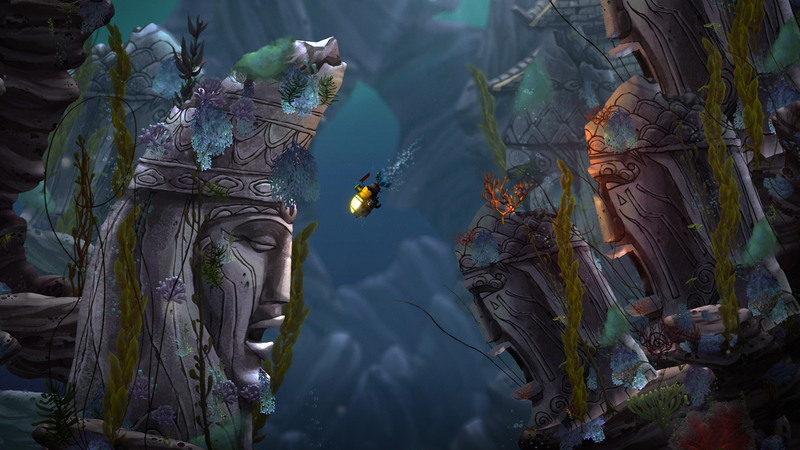 Insomniac Games has an interesting choice of partner for their next game, Song of the Deep, which has made its debut at this week's PAX South event. Retail behemoth GameStop will take on publishing responsibilities for the physical game release, producing disc-based versions of the game for PC, PlayStation 4, and Xbox One. GameStop has some experience in the digital space, having acquired online game portal Kongregate in 2010 and expanding it with a mobile division in 2013, but this will mark the first time the company has attempted physical game publishing. In an article published on Fortune, Insomniac Games President and CEO Ted Price called the arrangement, "a nontraditional publisher and developer relationship," noting that GameStop hasn't been influencing the game's creative process. 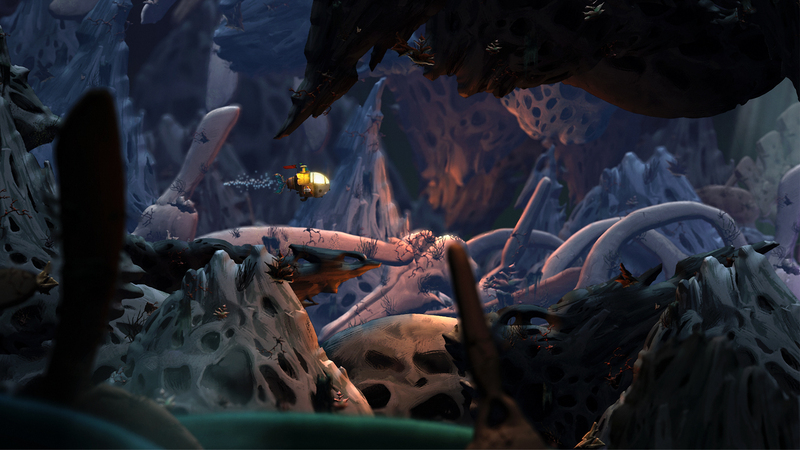 Insomniac is also retaining the intellectual property and will be the publisher for digital releases on all platforms. As sales at brick-and-mortar game retailers continue to decline, GameStop stands to lose the most and this experiment represents another of many attempts over the last several years to diversify their business. Along with more than 6,000 GameStop locations worldwide, the company also owns Apple reseller Simply Mac and wireless service retailer Spring Mobile. 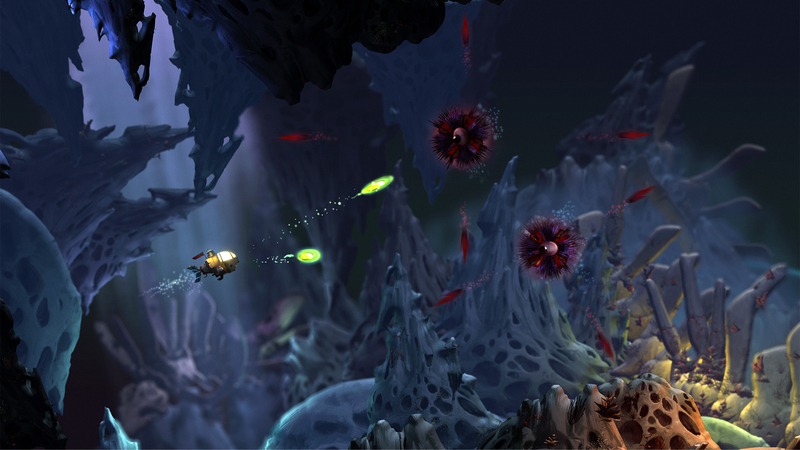 Song of the Deep is a 2D Metroidvania-style game set in an underwater world. 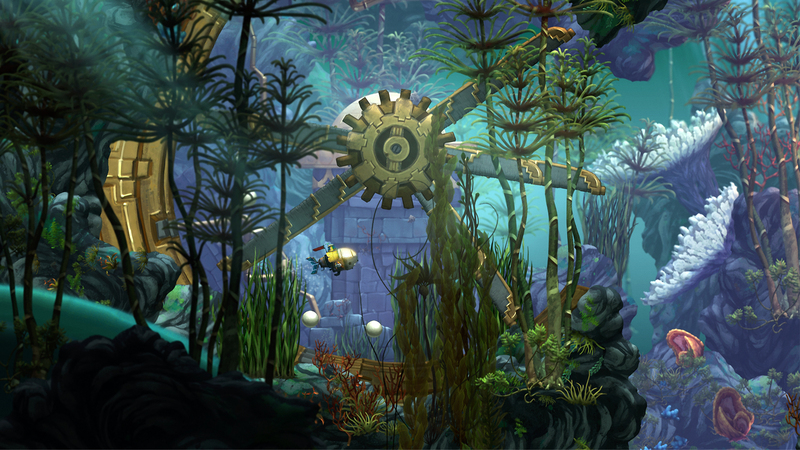 Players control Merryn, a young woman searching for her lost father in a submarine which can be upgraded with a variety of new functions. The game is planned to release this Summer. I'll probably pick this up (digitally because we don't really have Gamestop here) - because it looks pretty, the setting seems interesting and it's Insomniac, but the really fascinating bit at the moment (to me at least) is the Gamestop involvement. I wonder if Gamestop make more money selling this game new or used? And if the money goes to separate parts of the company - for example, if it's bought new some money would go to a hypothetical game publishing part of Gamestop, whereas if it's bought used then it's all kept by the normal, game retailer part. Now I'm curious if it will end up selling for less since GameStop is both the publisher and distributor. While I doubt it would be the case, GameStop selling the game exclusively through their own chain for a lower price than the standard 60 dollars could open all sorts of doors for them. EDIT: As a clarification when I say exclusive seller I was referring only to hard copies of the game, not digital. Has anyone considered sales are declining because the business model for buy a quarter of the game and the rest dlc just doesn't fly with some. Even game of the year editions, which previously was all the content on disc, is just a rerelease of the disc with codes for the DLC. At that point its usually cheaper to get the game used and buy the dlc. I keep thinking Ratchet and Clank are NaughtyDog's creation, but that must be Jak 'n Daxter the other cartoon duo PS4 exclusive platformer. That clears up a few though-holes. This looks like a possible purchase as a good 2D metroidvania I haven't played since Shadow Complex on the 360. It's been toooooo long!! Now I'm curious if it will end up selling for less since GameStop is both the publisher and distributor. GameStop being a publisher is somewhat less scary when they still have nothing to do with the Steam, PSN and XBL releases. I had been referring to GameStop being the exclusive carrier of hard copies of the game. I'll edit the post for clarification. Good catch though! But even so, its been noted that retail is a shrinking market, plus as far as im aware there arent many specialist game retailers anymore either. I shouldnt discount supermarkets, but i have to wonder would this be the sort of game that would get picked up by someone visiting a supermarket? Well that's why this is so interesting regarding shrinking markets. The average mainstream game now costs 60 dollars on release (at least) and the game goes from a studio, to a publisher, to a distributor. Now they're sort of cutting out another party. If they can now charge less for a game in stores, it can potentially revitalize that section of the industry. Or at the least it can give the digital world some real competition. In regards to your question, many moons ago my parents would occasionally buy games for me at toy stores, target, best buy and a few other places. So they may, but I don't know how wide the appeal of this particular series is nowadays. It used to be a big deal among me and my friends back in the day of the ps2 though. Let's see... ah here we go. Seriously the first thing that came to mind. Well really, they're just doing what Valve, EA, and whoever else has done in reverse. Rather then a publisher creating a storefront, the storefront is creating a publisher. Its not so much a new idea as a slightly alternate angle. While I love Insomniac as a developer, and would love to play an HD version of the Resistance and Infamous games, my first question is, why is she looking for her father? Seriously, why can't she be an explorer looking to find an area ,for her people who live in an aquatic planet, to move to... While I will probably get it, this plot hook just irks me.